Search for trusted home care services by using our platform. TrustedCare is an easy to use online directory and referral platform for people looking for care and support including home care and live-in care providers - all for free! It is often said to us by families who need some additional support to care for a loved one that a care home is the only option, this is not always the case. The service and support offered by a home care provider can enable someone with health and social care needs to remain in the comfort and familiarity of their family home. TrustedCare lists over 200 registered home care providers, many of which operate nationally to provide care and assistance to people within their own homes. Start your search by selecting home care from the drop down at the top of this page and enter either your town or postcode to bring up a list of registered home care services operating in the area. Each service has its own profile packed with useful information about the care types they support, their current rating and reviews from others who have used their services in the past. Alternatively, please contact our specialist Care Adviser team who can help to find a range of suitable home care services in your area. Home care providers offer a range of support to individuals with many types of needs, and of all different ages. From simple drop in services to check that vulnerable individuals are safe and well, through to complex packages of care for those who might be towards the end of their journey. The beauty of home care is that the service offered is tailored to the individual and the support provided can be increased/decreased as appropriate. 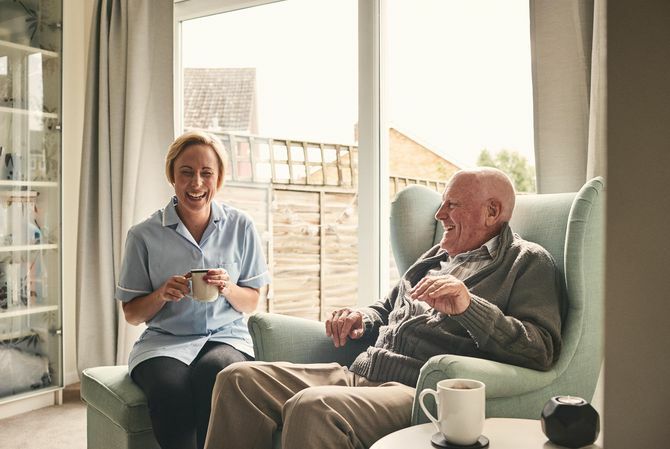 Home care providers typically operate between the hours of 7am and 11pm providing support from getting up in the morning or getting into bed at night, assistance with personal care, meal preparation, companionship and even trips out to the shops! The visits generally last from 15 minutes up to several hours and can be performed by one or more Carer's for those who might have additional needs or mobility issues. Many home care companies are now offering overnight care and 24-hour live-in support. Below are some useful articles for people who are interested in home care services, if you have any question please get in touch. Need assistance to find a local home care service? Speak to our specialist Care Adviser for free help and advice in find a local home care provider.